Hot on the heels of the speculation that Apple is working on some smart watch project of sorts, now comes a confirmation from a reputable source like Bloomberg, whose two insiders have shared the project actually commands considerable resources inside Apple's labs. No less than a team of about a 100 people have been dedicated to the the wearable computer, and those include "managers, members of the marketing group, and software and hardware engineers who previously worked on the iPhone and iPad." With that many resources dedicated to the eventual iWatch there is a chance we see it as a commercial product, but what is Apple thinking it will bring to the table in this day and age of phones with crazy specs and hundreds of thousands of applications to them that we always carry, remains to be seen. Apple has a 100 people team building the iWatch... WHOAAAA!!! can't wait to buy this BEAST!! we can see this comment of your under every article. if you buy all those beast you have mentioned right now, you'll be in need of a ZOO!! No Wendy don't say that.. For the first time in life, I got to wear a premium swiss watch.. My dad gave me..
Really? "100 People Team", not "100 PERSON Team". Great journalism there Phone Arena, have your mom proofread your homework before you turn it in next time please. Fail. Didnt LG made a watch phone few years ago? 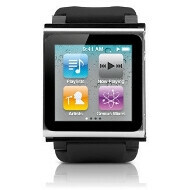 Anybody wanna bet its gonna be a the same iPod Nano form last year with built-in Magical, revolutionary straps. ok, im not going to smash Apple, i dont use their products. and i honestly dont care if they come out with a watch... But i dare, i Double Dare anyone to say its innovative when it comes out... i so dare them.